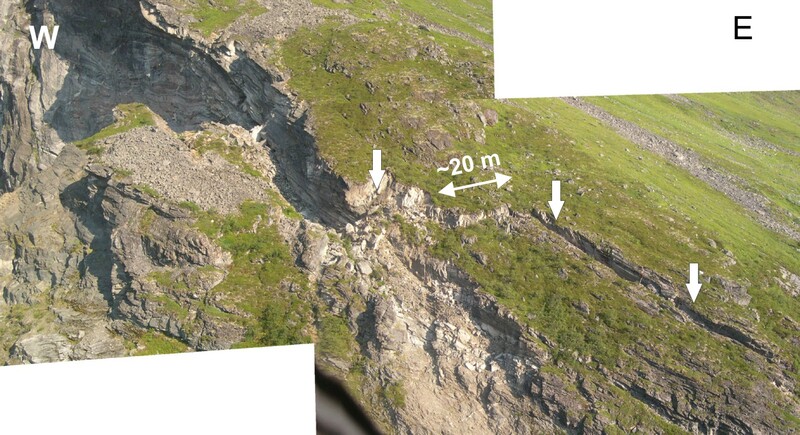 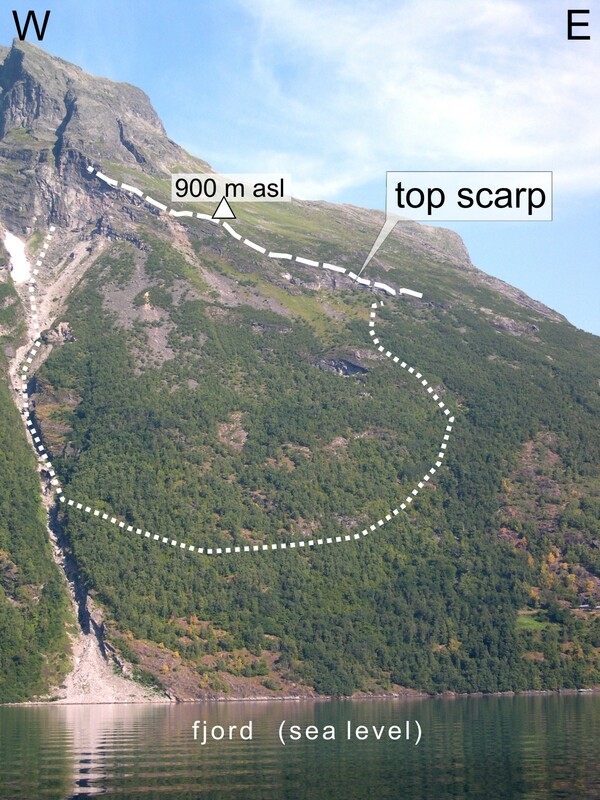 ABSTRACT: The Åkerneset landslide has an area of 600×1300 meters, is 30-60 m thick and the sliding velocity in the upper part is about 4 cm/year. 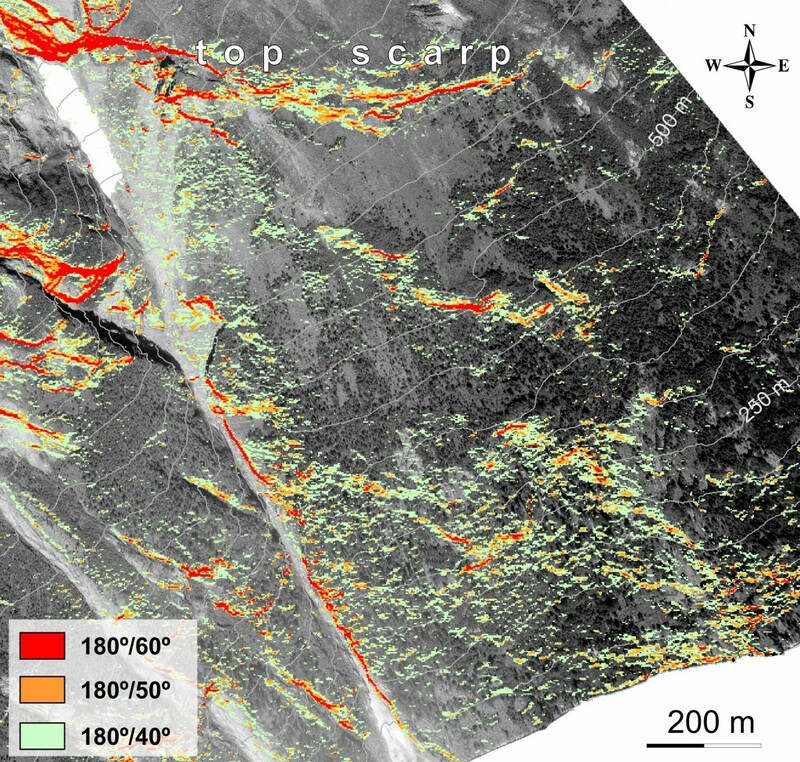 A high resolution DEM has been acquired by airborne light detection and ranging technology (lidar) coupled with color airphotos. 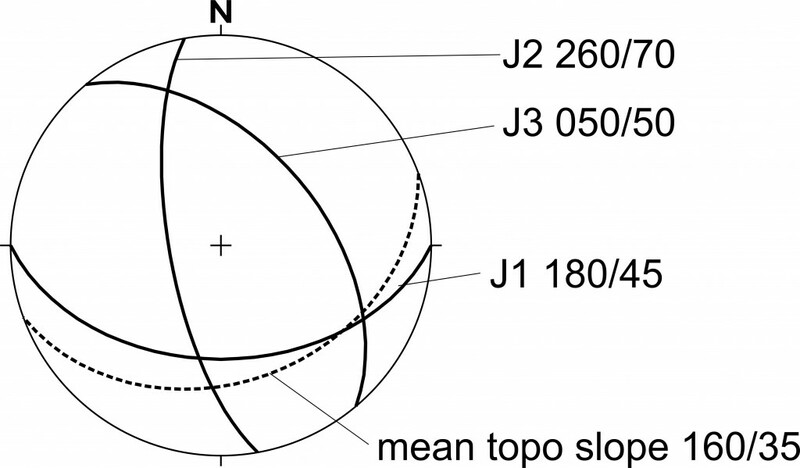 These data have been analyzed using a geographical information system (GIS). 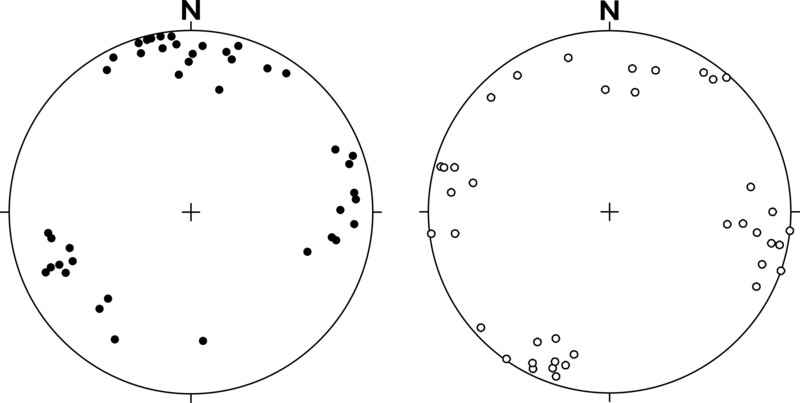 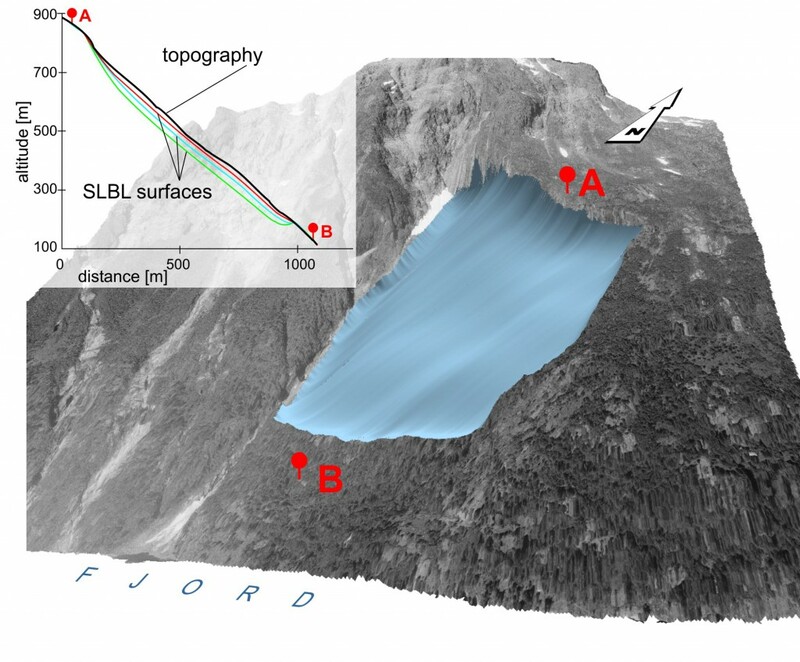 The preliminary assessment of the landslide was performed following 3 stages: 1) surface geometry, identification and mapping of the main sets of discontinuities; 2) kinematic tests of planar sliding; 3) estimation of the potential sliding volume.